cPanel’s support for PostgreSQL is notably bad, but it’s easy to work around the existing limitations and to install the latest shiny release of Postgres (currently 9.4, with jsonb support!). First, you need to add the Postgres repository to your system. You can find the link to the latest RPM file on Postgres website. 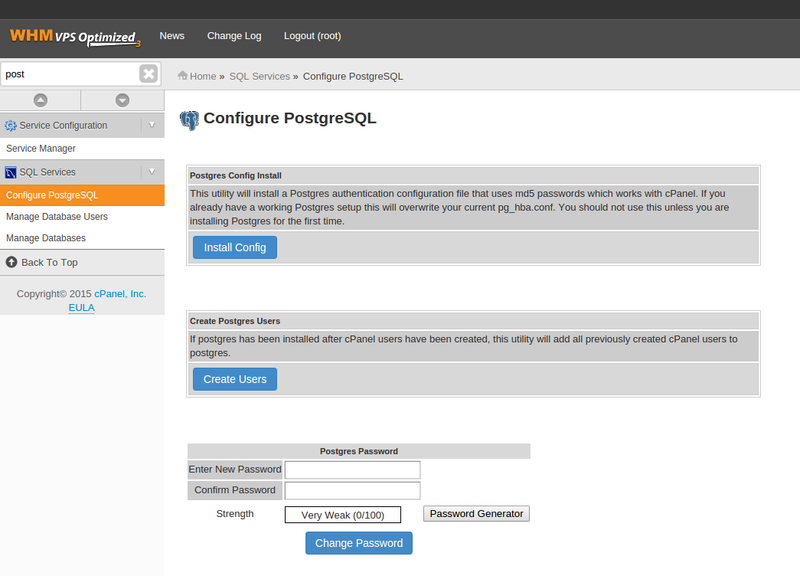 Finally, log into WHM and go to Configure PostgreSQL. Click on Install Config, wait, click on Create Users, wait and then reboot your server. Voilà!